Perdomo2 Limited Edition cigars have been reintroduced by Tabacalera Perdomo. The cigars' Nicaraguan filler and binder tobaccos are expertly box-pressed in your choice of genuine Cameroon or Nicaraguan Maduro wrapper leaves. The smoke is medium to full in body, with well-balanced flavors that continue throughout the finish. 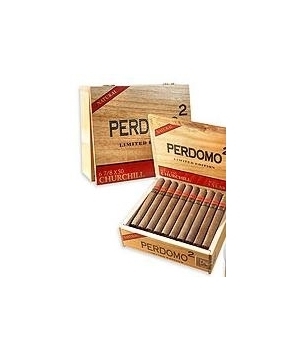 This NEW Perdomo2 Limited Edition comes packaged in attractive 20 count Spanish cedar boxes.